The other day, I was playing on an old Minecraft singleplayer map when I encountered an unfortunate problem: I wanted to change some of the map’s gamerules, but I was unable to do so because cheats were disabled. Having spent several hours on this map, I didn’t want to start over, so I decided to try and find a way to enable cheats on an already existing world. 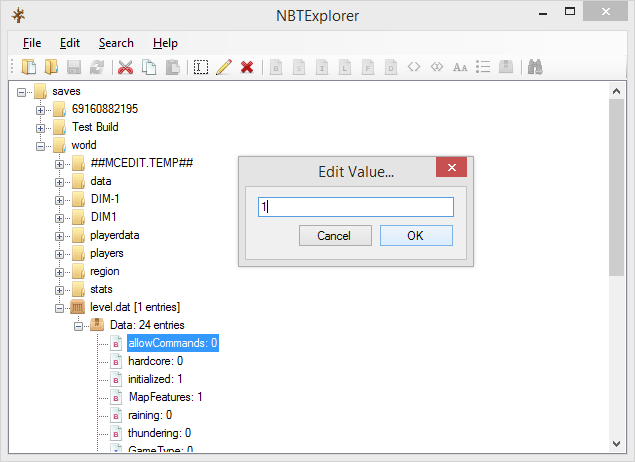 When you save a Minecraft world, the game creates a level.dat file that contains all of the map’s parameters in NBT (Named Binary Tag) format. 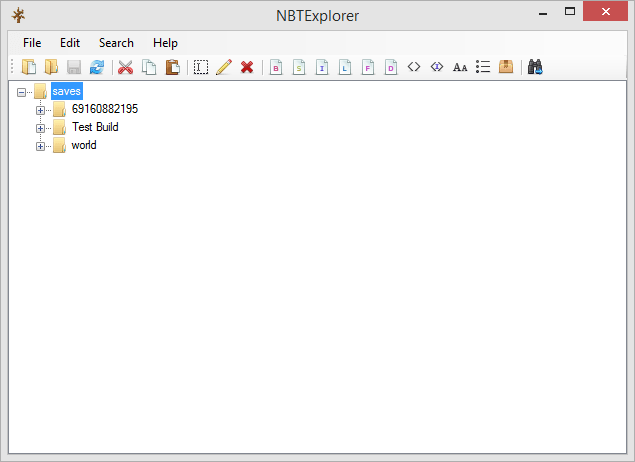 Now, if we want to change these parameters, we can use an awesome little program called NBTExplorer (available for download on this forum thread: http://www.minecraftforum.net/topic/840677-nbtexplorer-nbt-editor-for-windows-and-mac/). Now, you need to double click on the map for which you want to enable cheats. This will open a small text box titled “Edit value…” in which you need to type 1. You can then click on Ok and save your changes by going to File -> Save (or by pressing Ctrl+S). You should now be able to use cheats on your Minecraft map! I hope this article helped you out and, as always, have a nice day! Tagged: cheats, enable, minecraft, NBTExplorer, singleplayer. Thanks for ths! Really helped me out. WOO! Thanks works like a charm. now the creepes can’t blow up my stuff thanks! This is a really big help! Thanks! !